It belongs more in Accidents. More info about this? What was the lorry carrying liquid lead? 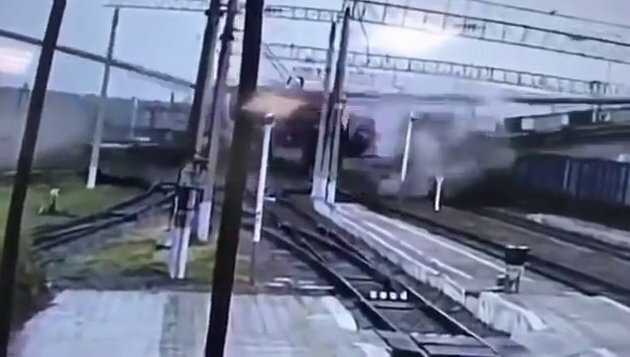 lazy thunders forgot info :The falling bridge, which connected two parts of the far east town of Svobodny in Amur Oblast, crushed a truck and left one man hospitalised. #3 Lazy thunders apologizes for being ill informed, and certainly does not want to entertain on behalf of others' misfortune.